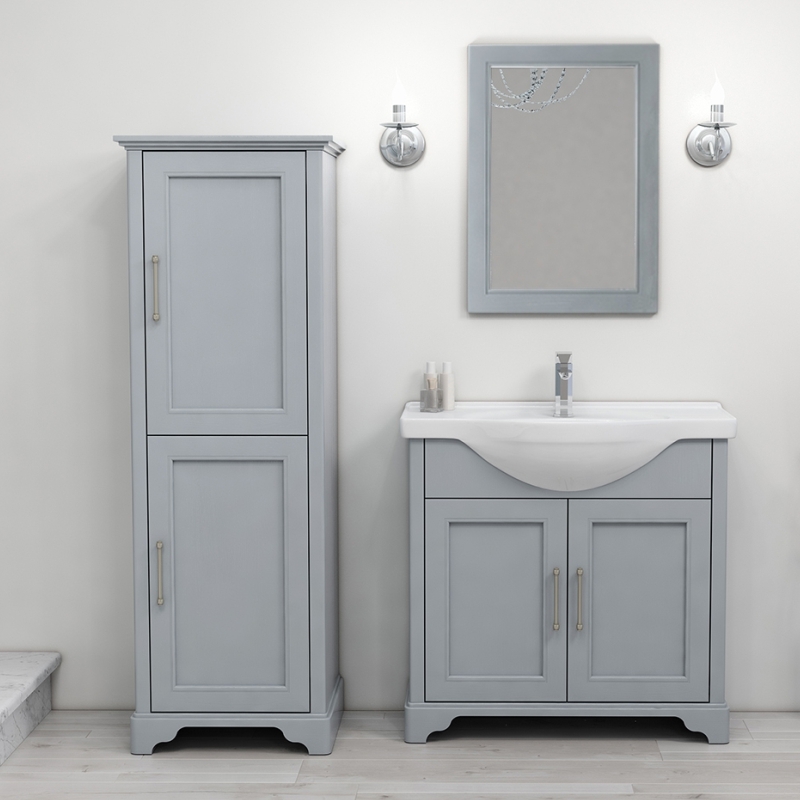 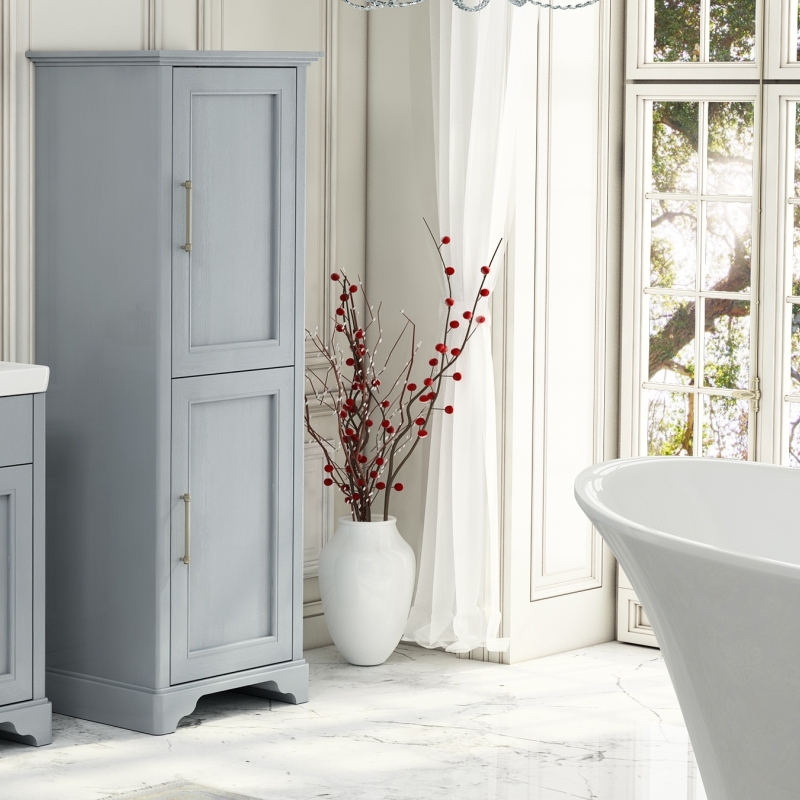 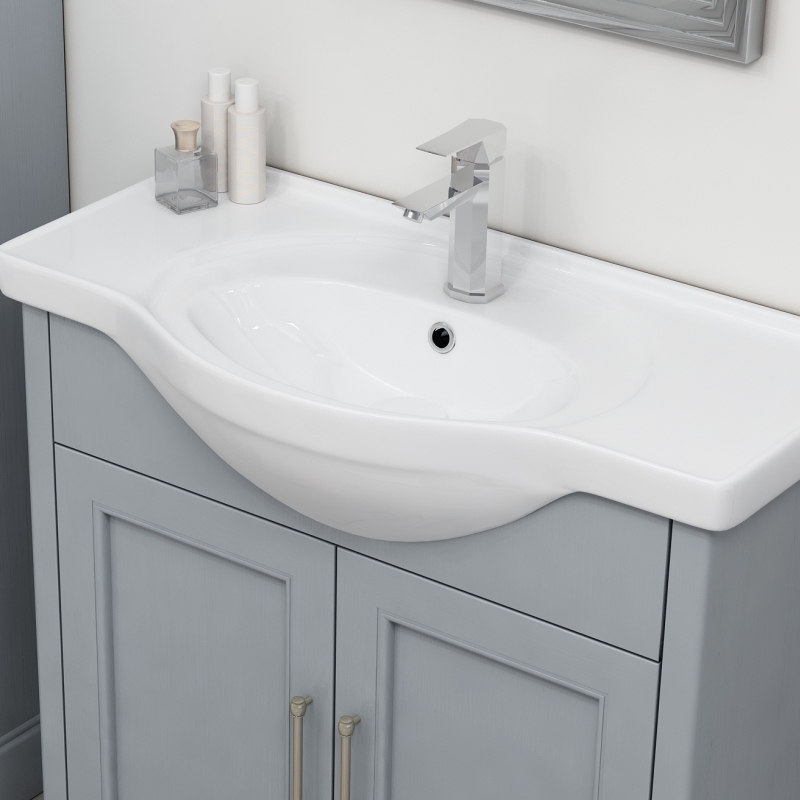 Why not choose Bathroomcitys furniture suite in dove grey, Handcrafted made from FSC materials This bathroom suite not only provides an Edwardian periodic feel but give plenty of storage space with our featured tall boy and 2 door vanity unit. 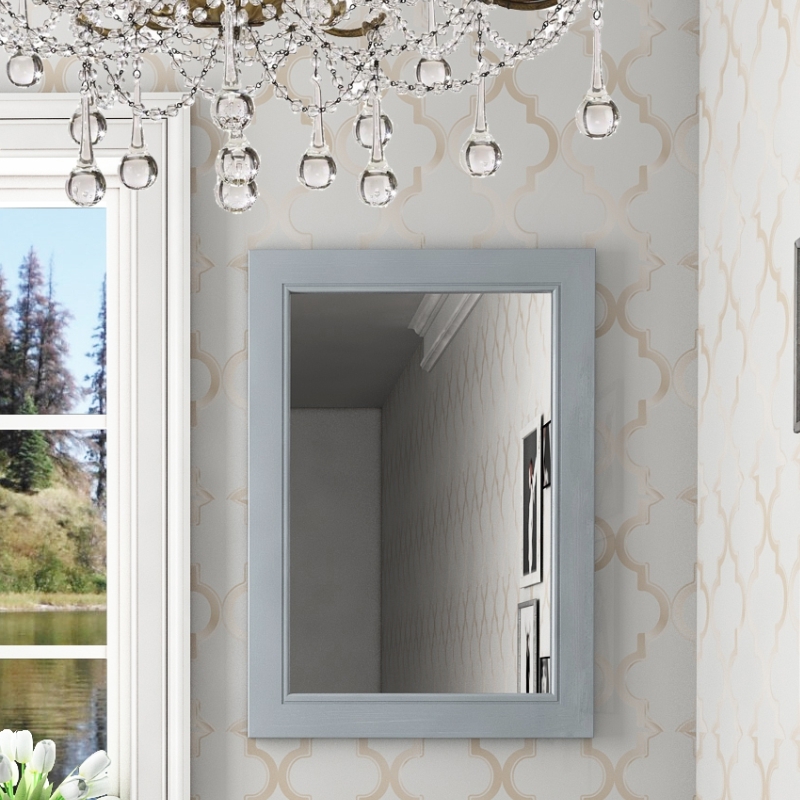 It comes complete with a mirror. 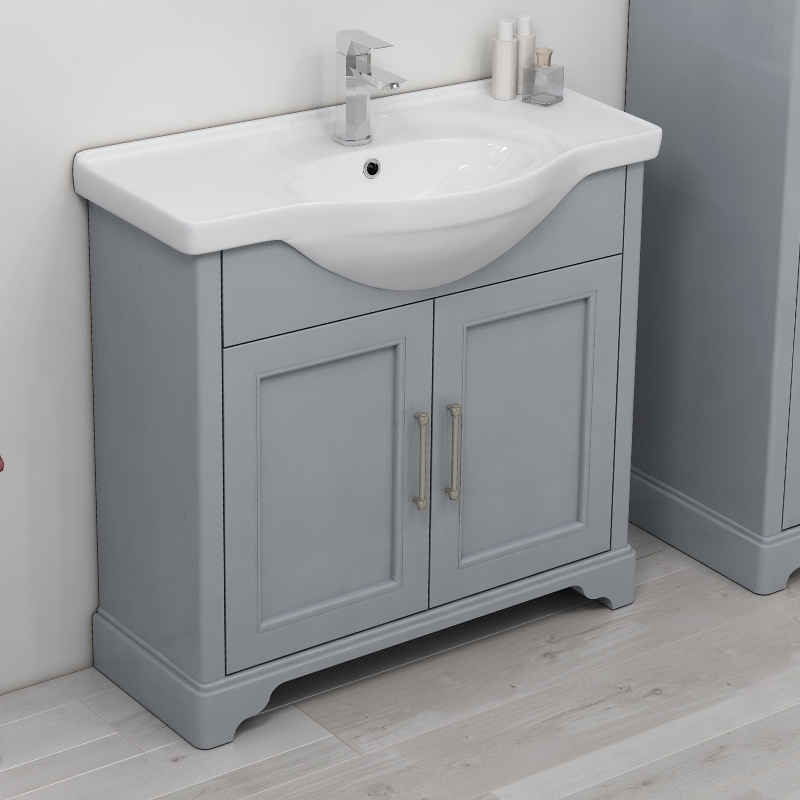 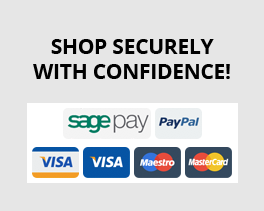 This complete furniture storage suite will provide an excellent focal point for your bathroom needs.